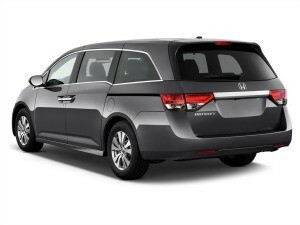 The Honda Odyssey is in its fourth generation and the 2015 model is in the second year of its 2014 makeover. As U.S. News and World Report has named the Odyssey the number one of seven mini vans on the market and it is easy to see why it has received this reward, which is based on the views of owners. 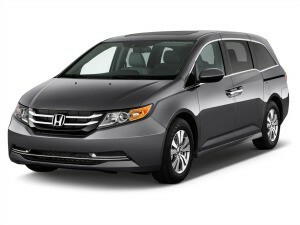 With its capacity for seven, V6 power and technologically focused design, the Odyssey is the minivan to beat. The flexible interior seating space, with its high level of fit and finish has one of the largest cargo areas in its class. 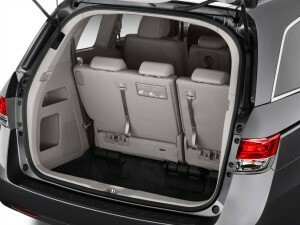 This gives you space for your passengers and all of their gear. The fact that it is a Honda assures you that you are buying quality with a proven record of accomplishment of dependability and longevity. Seven trim levels, the LX, EX, EX-L, Touring and Touring Elite, provide something for everyone and you can choose the Odyssey that fits your sense of adventure. Even in its base LX trim, the Odyssey provides a long list of standard features. Sitting on 17-inch steel wheels it offers cloth upholstery, eight way power driver’s seat and a four way power front passenger seat, tilt and telescoping steering wheel , cruise control, 60/40 split folding third row seat, as well as power windows and locks. The multi-information display on the LX has an eight-inch display, and the Infomatics of the base level Odyssey offer Bluetooth phone and audio connectivity, text to speech functionality, a rear view camera, seven speaker audio with a CD player and Pandora compatibility. The eight passenger EX model sits on seventeen inch alloy wheels and adds power sliding side doors, heated rear view mirrors, power lumbar support on the driver’s seat, a multi adjustable second row seat, tri-zone auto climate control, retractable rear seat sunshades and a removable center console. 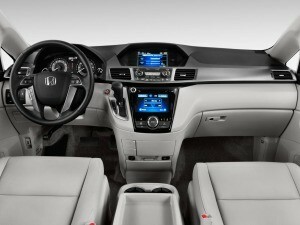 The EX trimmed Odyssey also gets Honda’s “Land Watch” blind spot camera, which is built into the passenger side mirror , and also adds a seven inch touchscreen with HondaLink smart phone integration. The EX-L version adds a power lift gate, forward collision and lane departure warning systems, satellite radio, a sunroof, leather upholstery for the front and outboard second seats, heated front seats, an auto dimming rearview mirror and a chilled storage box. An option al voice operated navigation system and rear entertainment system can be ordered together and be added to your EX-L trimmed Odyssey. Sitting on 18-inch alloy wheels, the touring model adds driver’s seat memory settings, fog lights, parking sensors for front and rear, retractable third row sunshades and a fold down rear passenger seat. A 115-volt household type outlet is added for your convenience. The navigation and rear-seat entertainment system are standard on this model. The Touring Elite adds a regular blind spot warning system, an integrated vacuum cleaner, xenon headlights, and an upgraded rear entertainment system that boasts a wide screen video monitor with HDMI input and a premium sound system with 12 speakers and surround sound with HD radio. 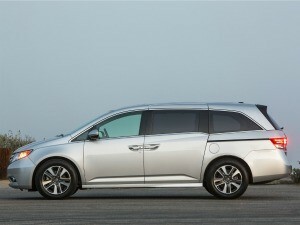 Not the least expensive minivan on the market, the Odyssey it averages between $28,975 and $44,600 depending on how you have it configured, but the Honda name is worth the extra price in the end. Reliability and longevity have become synonymous with the Honda brand. The power behind the 2015 Honda Odyssey is a 248 horsepower 3.5-liter V6 that produces 250 pound-feet of torque, driving the front wheels through a six-speed automatic transmission. Fuel economy for the Odyssey is an estimated 19/28 mpg, city/highway with 21 mpg combined. It’s not a scorcher by any means, but the Edmunds test track ran a Touring Elite from zero to 60 mph in eight seconds flat. That’s not bad for a minivan. Safety features abound on the 2015 Odyssey. Four wheel anti-lock brakes, traction and stability control and emergency braking assist will help you maintain control of your vehicle. With dual mounted and front, rear and third row airbags standard to keep your passengers safe in the event of a collision, the Honda Odyssey is designed with safety in mind. The removable front console and dual electric powered sliding rear doors and the interior capacity of the Odyssey make it a comfortable, capable people hauler. It is designed to carry you and your occupants across town or across the country with ample room for not only your passengers but for their gear also. There are so many features on the Odyssey that the choice of its best feature is a matter of opinion. Some will like the availability of the integrated vacuum system, which makes clean ups quick and easy, while others will appreciate the chiller box to keep their drinks cold. The Odyssey is full of innovative ideas that make your travels more enjoyable. 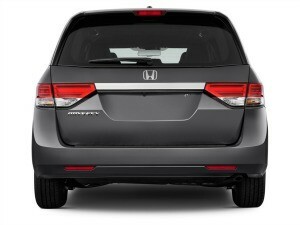 Reviewers found the 2015 Honda Odyssey to be agile, responsive and refined. Considering its size, it provides a well-mannered driving experience and the quiet, well-appointed cabin offers a comfortable environment for your traveling adventures. The V6 engine offers ample power and torque so you won’t need to leave your toys at home when you go on a trip. The ability to configure your cabin space to suit your needs, as well as the spaciousness and easy drivability of the Odyssey will make it a winner with your family.